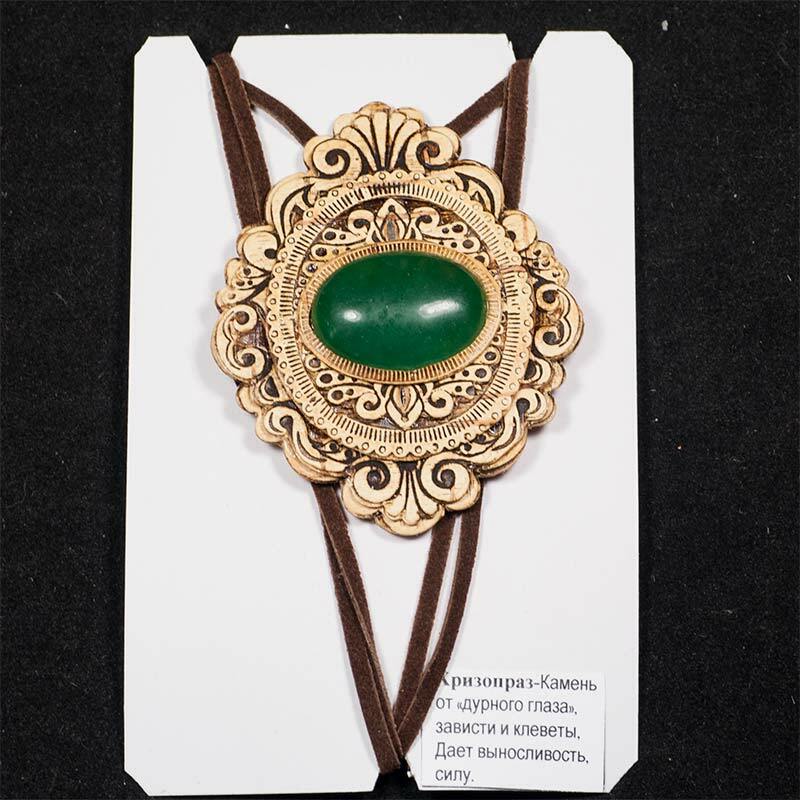 Birch Bark Pendant with Chrysoprase Stone is made by skilled Siberian craftsmen of birch bark with its specific natural texture. 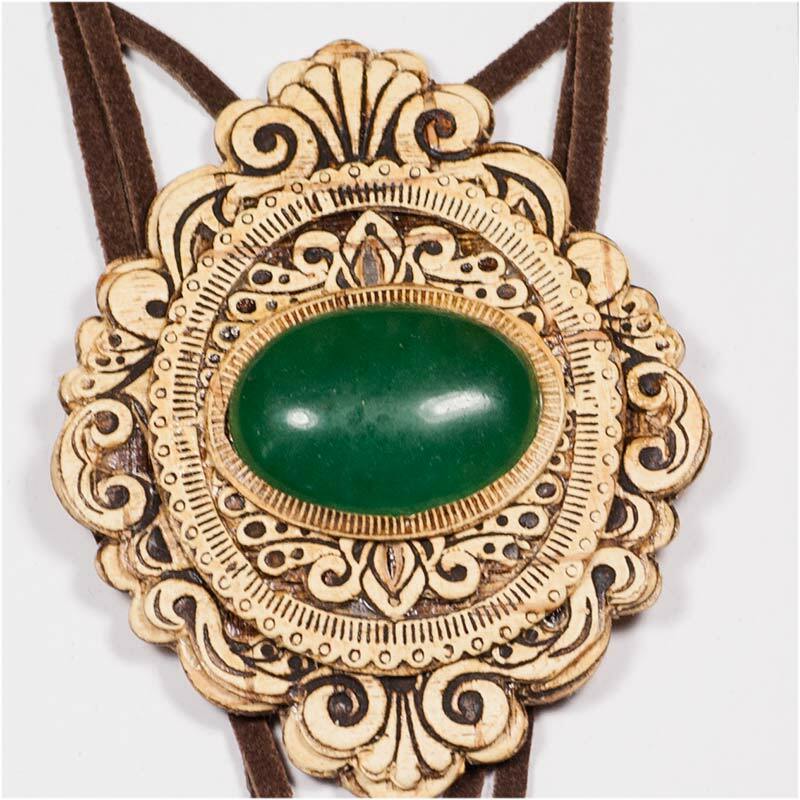 The surface of of the pendant is decorated with carved and embossed ornament. The pendant is also decorated with artificial cornelian stone, it looks like real one.